When it comes to tech products, there are times when you can go with a budget option and get sufficient performance, but there are also times when the adage “you get what you pay for” applies. With certain items, you’re much better off spending a bit more money upfront for a higher-quality product that delivers superior performance and lasts longer. If you’re not a tech whiz, you’re probably wondering which items are worth the extra money. Here are three of the tech products most people use where you should consider spending more. Quality always matters, but it’s even more important when it’s a product that you’re going to use frequently, and a keyboard is something you’ll probably use every day. The typical computer keyboard is a basic membrane keyboard which has a plastic membrane to absorb pressure. Mechanical keyboards are much easier to use, because you can feel every keypress. A mechanical keyboard is a good investment for anyone, but especially those who use their keyboard quite a bit, such as gamers and writers. Don’t buy into the idea that only an audio expert would be able to tell the difference between a high-quality pair of headphones and the cheap set that came with your phone. 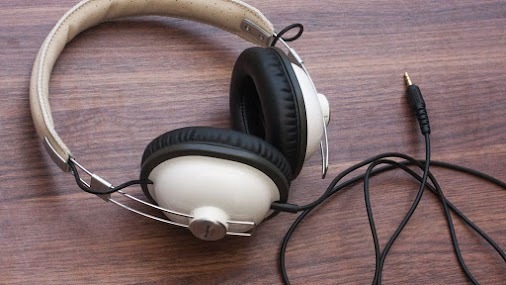 There’s simply no comparison between good headphones and budget headphones. The good headphones will have superior bass, a better frequency range and won’t cause nearly as much distortion. The result is that you hear music and other audio the way it’s supposed to sound. If you’re not convinced, check out a store like Tivoli Hi-Fi Pty Ltd that can help you try nice headphones so you can hear the difference. You can get a laptop that handles all the basics, such as streaming videos and browsing the internet, for a couple hundred dollars or less. If you’re on a budget, that’s fine, but there are advantages to more expensive laptops that any user can appreciate. More expensive laptops are often lighter and thinner with better designs, while also being more durable. All the components will be higher quality, and the battery will last much longer. It’s important to keep in mind that this doesn’t mean you need to spend an exorbitant amount of money for any of these products. There are plenty of great options in mid-tier price ranges. The most expensive products aren’t necessarily the best, but it’s certainly worth it to pay at least a bit more than the minimum for all three products listed above.